At Forward Montana, we know politics can be an unfriendly place for most young people. It’s boring, wonky and feels slimy some of the time. But rather than dipping out, we’re asking our friends to dive in. When more young people vote and advocate civically for public policies that reflect our values, we can enact a more a more supportive climate for policies that improve our lives and the lives of our fellow Montanans. After thousands of conversations with young Montanans, we know that climate change, public lands, and renewable energy are issues that our generation is deeply passionate about. In this election as with all elections, there’s a lot at stake for each of these issues. 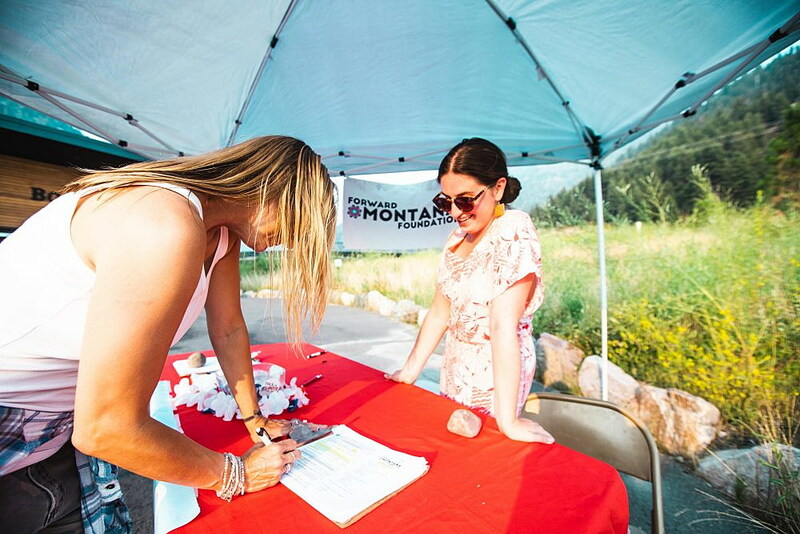 With 18- to 35-year-old Montanans making up a quarter of registered voters, the best way for our generation to have an impact is to research the candidates’ stances and vote our values. It’s easy to tell yourself that your vote won’t matter. But this election will be close all the way down the ticket. Every election season, there are multiple legislators elected by by just a handful of votes. Even the race at the top of the ticket (US Senate) will likely be decided by only a few thousand votes. Ultimately, it’s our votes that will decide who’s in the room when public policy decisions are made and the experiences, values, and vision of who’s in the room matters. When you look at recent history, it was who was in the room that created the Montana Office of Outdoor Recreation or ensured that our public lands weren’t sold to highest bidder. It was who was in the room that allowed the Land Water Conservation Fund to expire. It was who was in the room who walked our nation back on the Clean Power Plan and the Paris Accord. After seeing the recent report from UN’s Intergovernmental Panel on Climate Change, we can’t risk anymore leaders who aren’t willing to act on climate change in line with the urgency of the problem. We are already seeing the effects of climate change and my generation will see even more catastrophic climate consequences in a matter of decades. Extreme wildfire seasons, drought, and low stream-flow all have direct impacts on Montana communities and constrain our national, state, and local budgets. This makes fighting for education, healthcare, mental health services, and services for folks with disabilities all the more difficult. Our public lands sustain our communities spiritually and culturally. But, public lands aren’t only for recreating; they’re a critical economic driver for Montana communities. The Montana Outdoor industry generates 71,000 jobs each year which equates to about $2.2 billion in wages — that doesn’t include all of the service industry jobs that are created because of the bustling outdoor industry. With an average student loan debt of over $20,000, my peers and I care about job creation. And finally, renewable energy. We have the technology to transition to renewable energy now. A majority of Montanans support that vision. It’s just a matter of garnering the political will and that political will is created at the ballot box. On November 6th, I hope you’ll join me in researching the candidates and putting people in public office that align with our generation’s values and vision of Montana. There’s too much at risk not to. If you have an absentee ballot you haven’t mailed in already, make sure you hand it in in person at the Missoula County Fairgrounds in order to get it in on time. (If you’ve already mailed it in, you can track your ballot at: https://app.mt.gov/voterinfo/.) Call the office (406-258-4751) if you have any questions about where and when to vote. Erin Miller is the Missoula Field Manager for Forward Montana and spends her time mobilizing young Missoulians through voting, issue work, and great jokes. November 6. VOTE if you haven’t already. November 8. Medicinal plants of the Northern Cheyenne & Blackfeet. Free talk hosted by MT Native Plant Society. WHEN/WHERE: Nov 8 at 7pm in UM’s Gallagher Business Building, room L09. November 14. UM Recycling Committee meets to tour UM Recycling facilities & discuss challenges. All welcome. Meet on Nov 14 at 2pm in the lobby of UM Facilties Services. For more info, email the ASUM Sustainability coordinator.